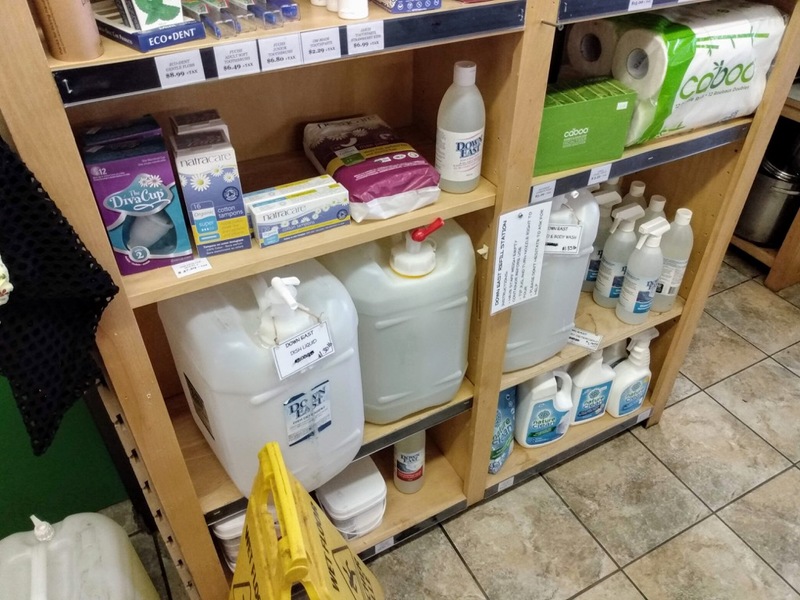 We were very happy to see, on a visit this afternoon, that Riverview Country Market is now selling Downeast soap products–laundry soap, dish soap, and hand & body wash–in bulk for filling your own container with. We’ve been customers of Downeast products for a while, and it’s always seemed absurd to be recycling perfectly good containers–ones that will likely outlast us–every time we need new soap. So we’ll be regular customers of Riverview’s new refilling station. Bravo! Written April 13, 2019 at 6:01 p.m.